“Both a compelling personal journey and a lively, touching love letter to the pure spirit of football, packed with incident and never dull.” Stuart Maconie, Radio DJ and popular culture critic. In September 2017, amateur British football coach Justin Walley became the “National Team” Manager of Matabeleland, an obscure international team in western Zimbabwe. Before him lay the seemingly impossible task of taking his group of unknown amateur footballers from an impoverished region of Africa to the “alternative world cup” – the CONIFA World Football Cup in London, the following summer. All that stood in his way was the small matter of no money, no resources, no salary, no visas, and no sponsors. There was one football, though… but no goal nets. 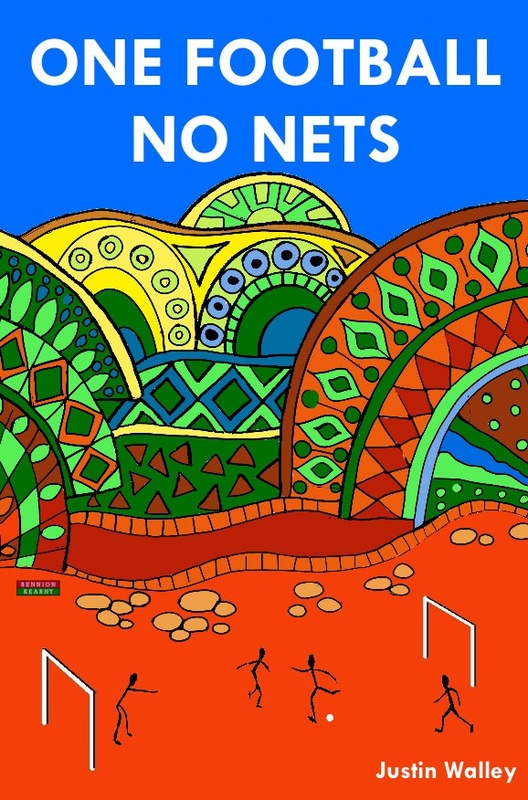 One Football, No Nets tells of one man’s leap of faith into the unknown, swapping life with his girlfriend and a third division football team in Eastern Europe for international football management in Africa. It was to be a journey that would take Walley through the toppling of President Robert Mugabe, a collapsing financial system, and travelling to away games in rural Africa with 17 players in one pickup truck. And, oh yes, Liverpool legend Bruce Grobbelaar becomes Walley’s goalkeeping coach after a meeting at an M6 motorway service station. And just when Walley thought his adventure could not get stranger or more surreal, he fulfilled the lifelong dream of playing international football at the age of 47, was accused of being a Kremlin spy, became a mini-celebrity on Russian TV, and was announced as the new foreign brand ambassador for Tatarstan. One Football, No Nets is the extraordinary story of one man chasing his dream of changing the world through football, and of one day becoming an international football manager. December 5th 2018 | ISBN-13: 978-1-910515-64-8 | 350 pages | Print and eBook formats will be available. 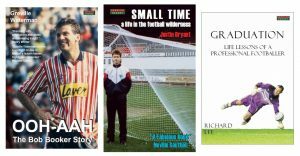 Book Categories: Autobiography, Soccer, Soccer Biography and Sport.